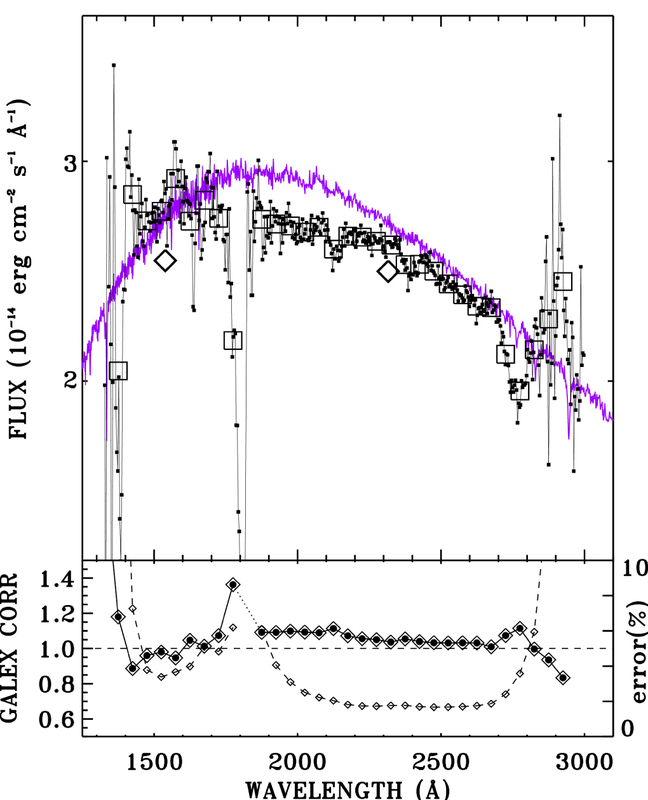 CALSPEC spectrum of LDS749B (purple) overplotted with the GALEX spectrum as small black squares and as large black squares in 50 Å bins. The large black diamonds are the λeff = 1539 and 2316 Å GALEX broadband photometry that is within 10% of the spectral measures. In the lower panel, the ratio of CALSPEC/GALEX is shown as black circles surrounded by large black diamonds. 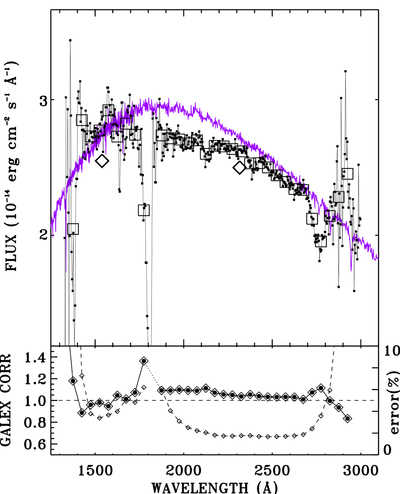 The GALEX plus CALSPEC statistical uncertainties combined in quadrature appear as small black diamonds connected by a dashed line with a scale in percent indicated on the right axis.